TGIF Ladies! On Fridays we share new beauty and self care ideas because nothing starts the weekend off better than a little pampering. 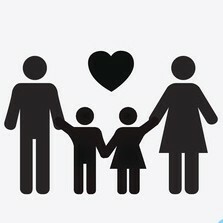 Everyone needs a break now and then, especially the people who are always taking care of someone else! We’re looking at you moms. 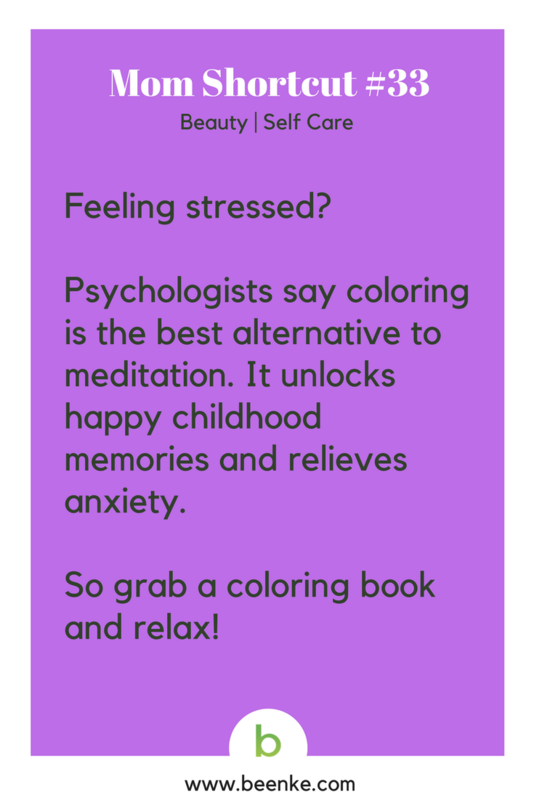 It’s important to take a little “me time” now and then to recharge your batteries. That way you have the energy (and patience) to take on the difficult job of raising tiny humans. 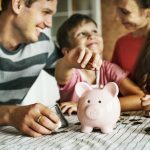 #285 – Seven great self care ideas for busy moms! 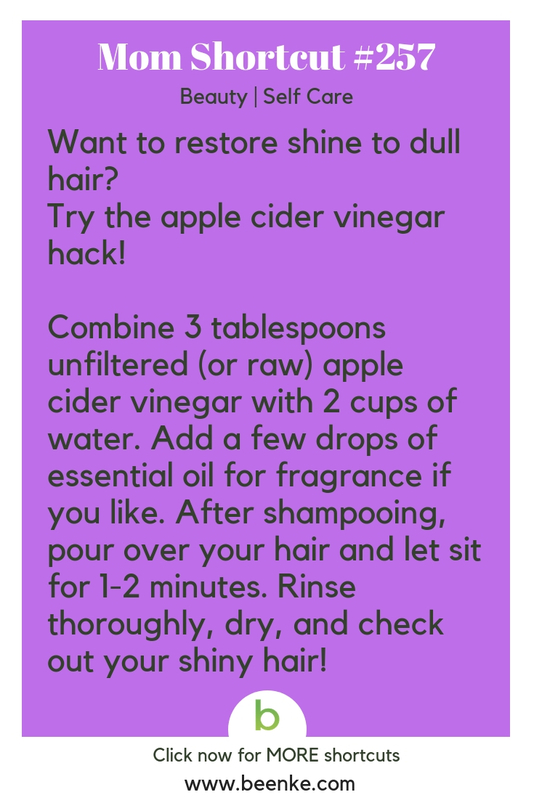 #257 – Get shiny hair by using this apple cider vinegar hack! 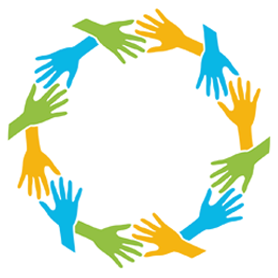 #250 – Taking care of your relationship is a form of self care. 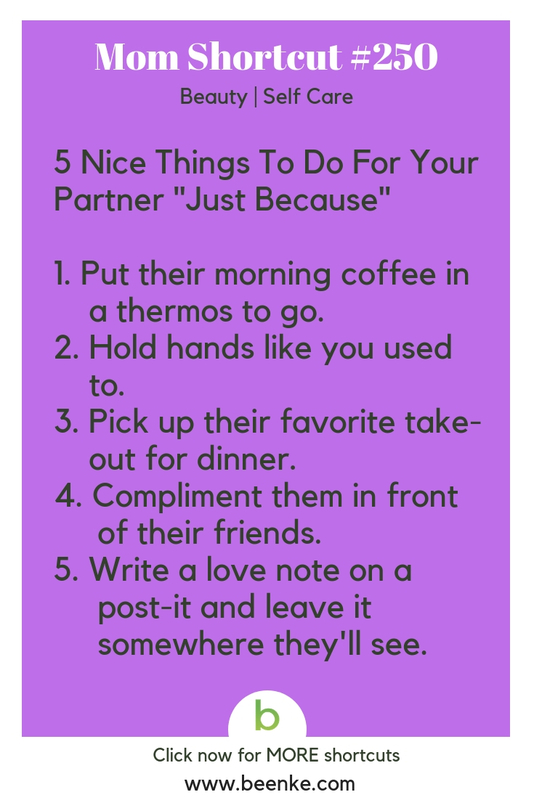 Here’s 5 little things you can for your partner. 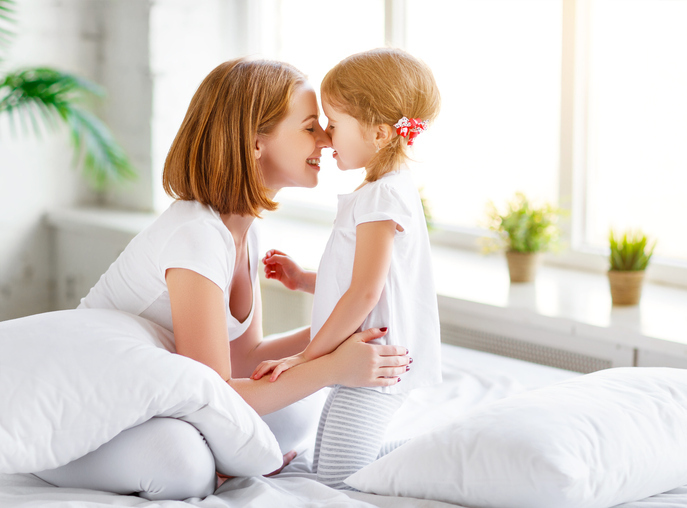 Mom Shortcut #243 – Five easy self care tips for moms. #236 – Beauty hack! 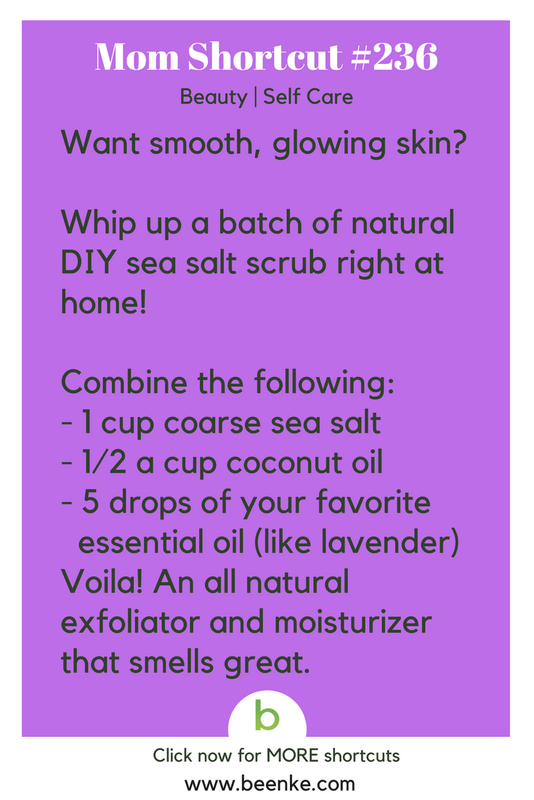 How to make your own natural sea salt scrub right at home. 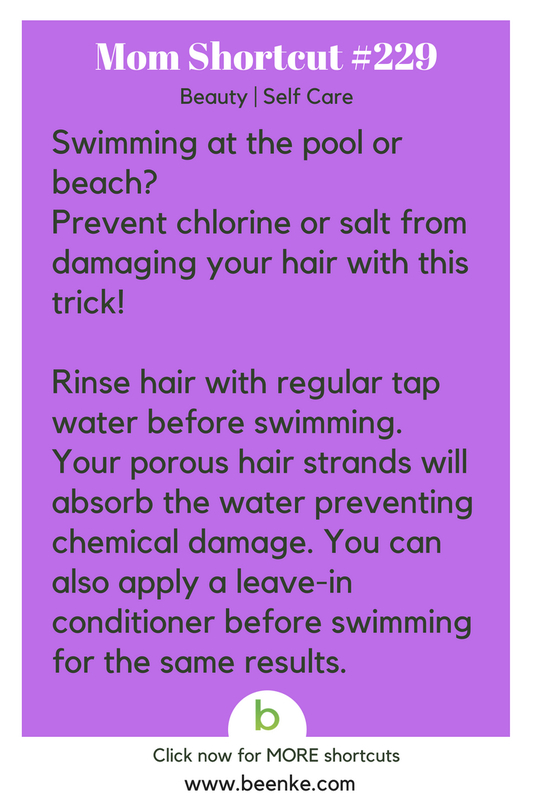 #229 – Protect your hair when swimming from chlorine and salt damage with this little trick! #222 – Want glowing skin? 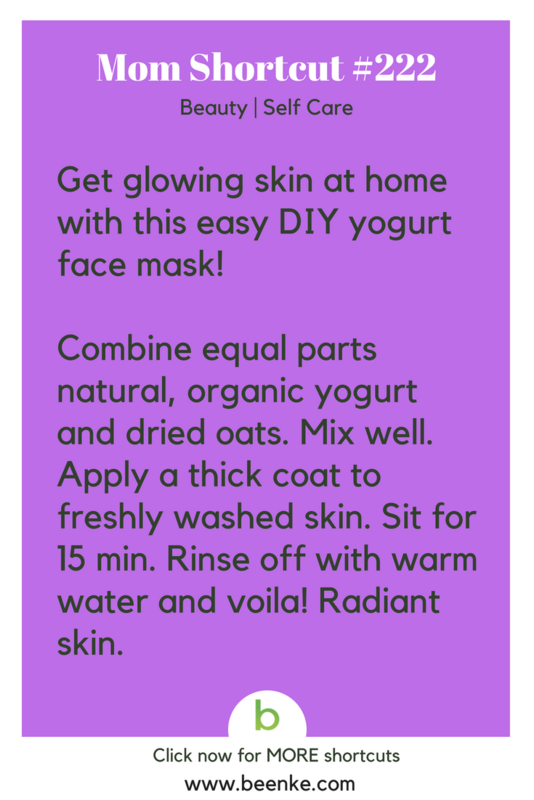 Try this easy DIY yogurt face mask you can do at home! 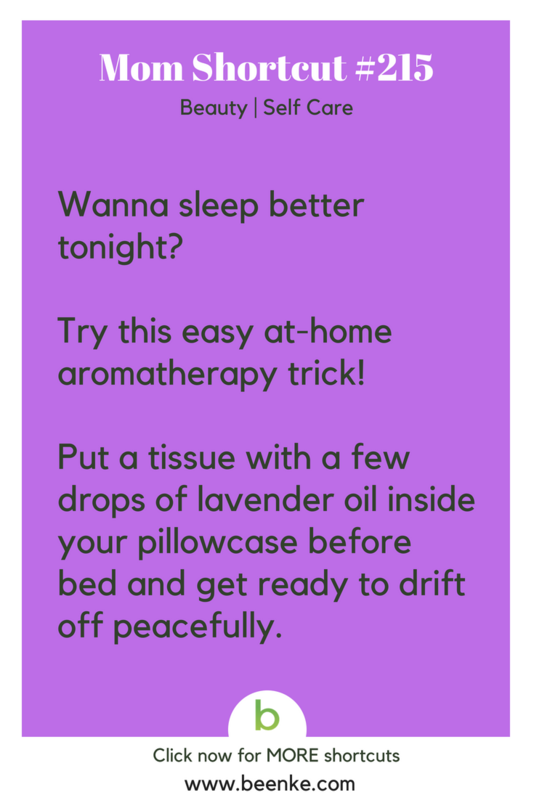 #215 – Self care ideas: sleep better with this aromatherapy trick! #208 – Beauty hack! 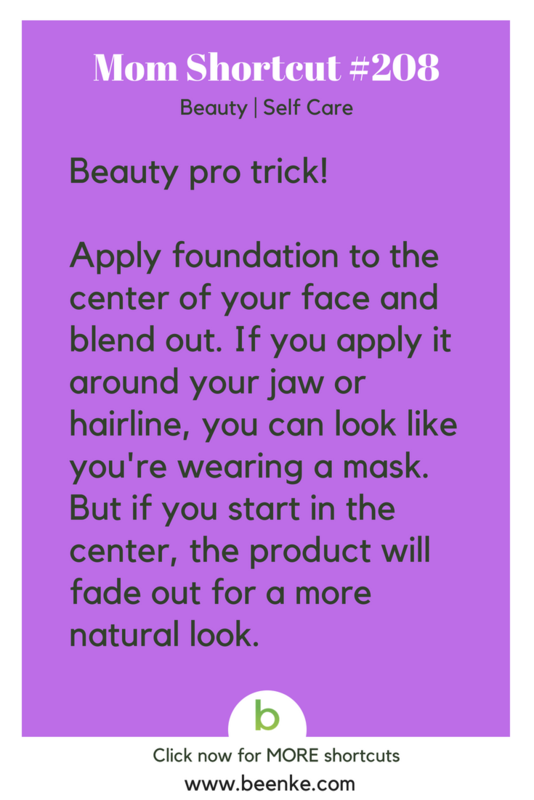 The right way to apply foundation. 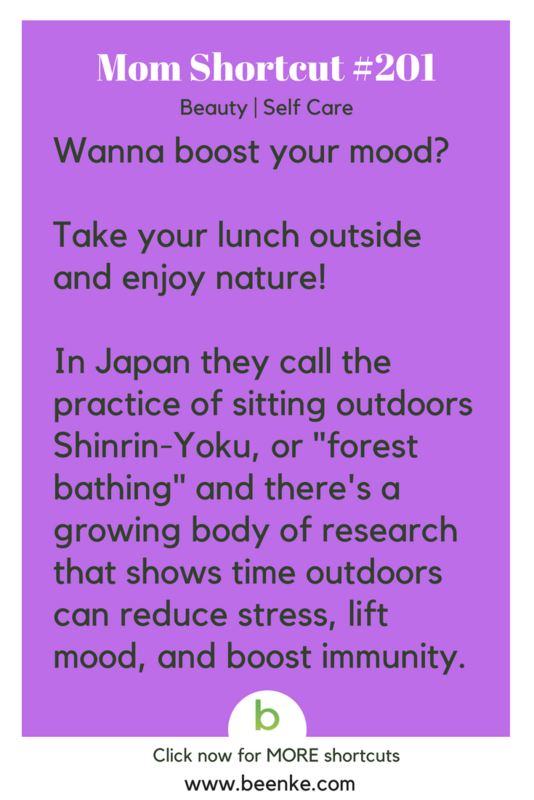 #201 – Self care ideas: boost your mood with a little ‘forest bathing’. 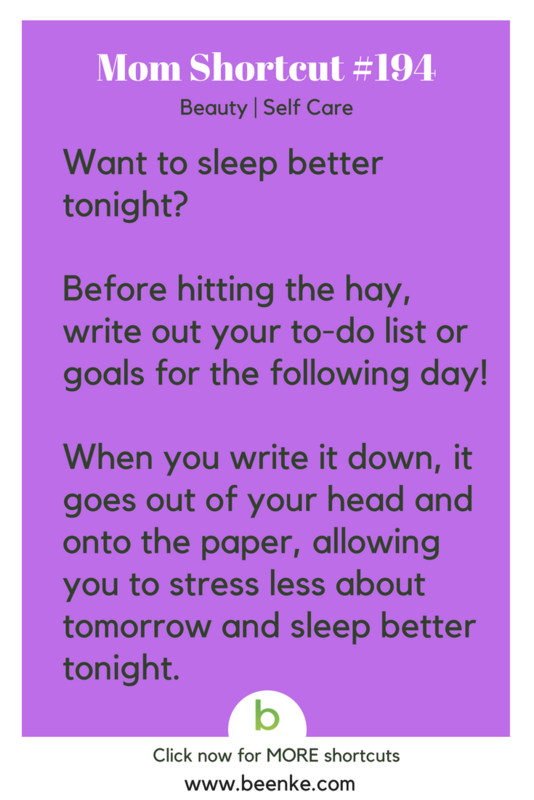 #194 – Sleep better with this nighttime hack! Make it part of your self care plan. 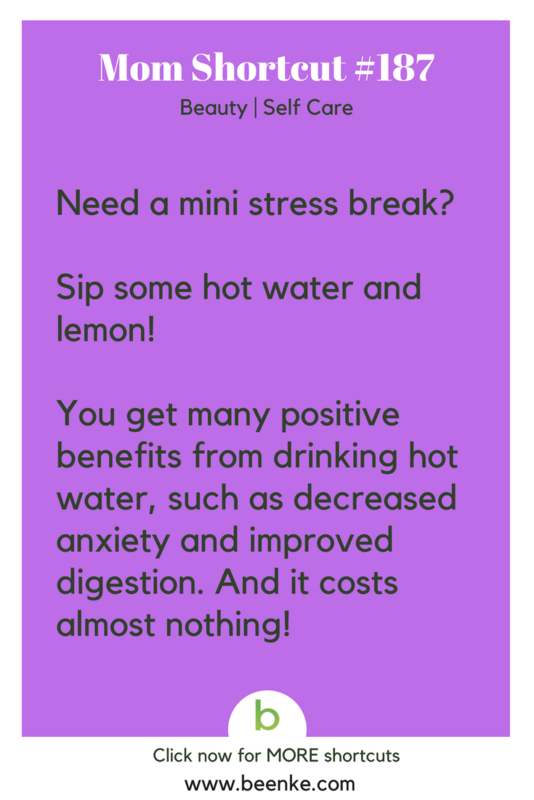 #187 – Self care ideas: try this easy wellness trick to decrease anxiety and improve digestion! #180 – Decrease anxiety and improve wellbeing with this easy self-care hack! #173 – Sleep better and stress less! We’re adding this trick to our self care list. 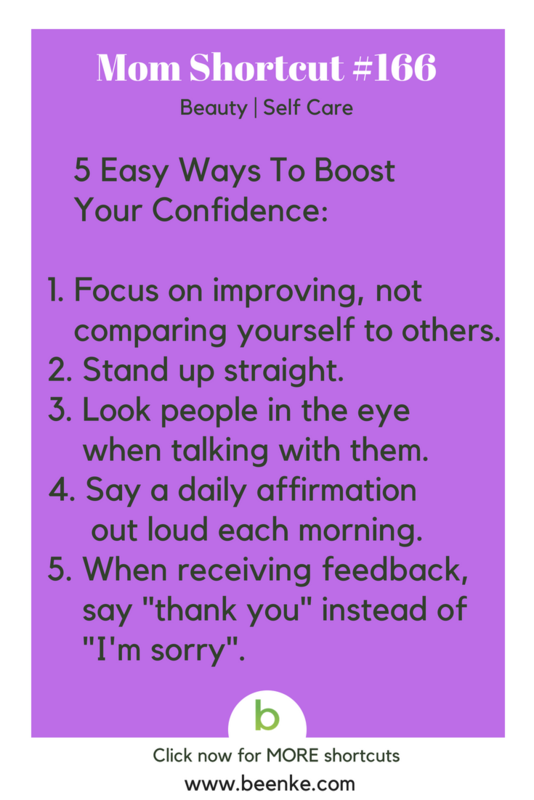 #166 –Easy ways to boost your self confidence! #159 – Want the fix for puffy eyes? 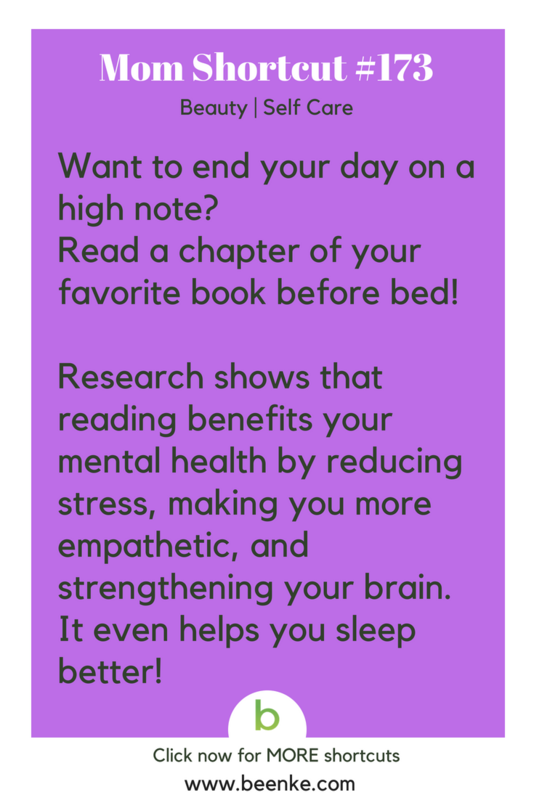 Sleep the ‘right’ way! 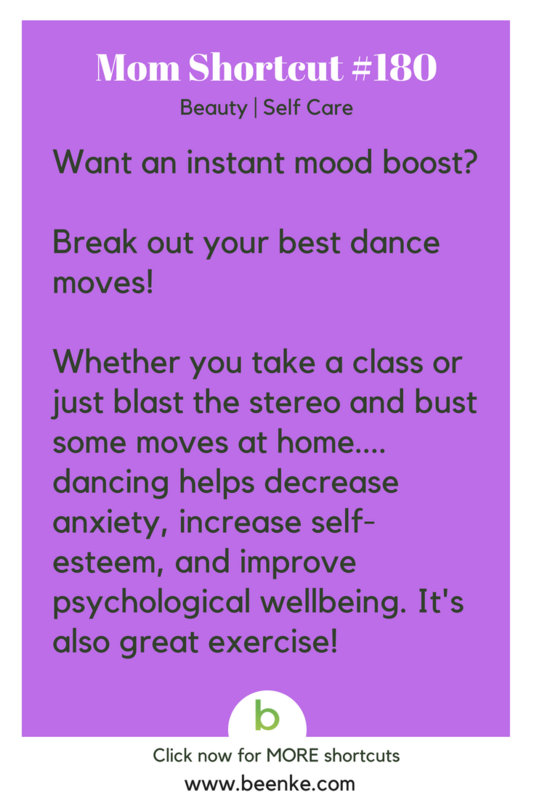 #152 – More self care ideas: try this morning energy trick! 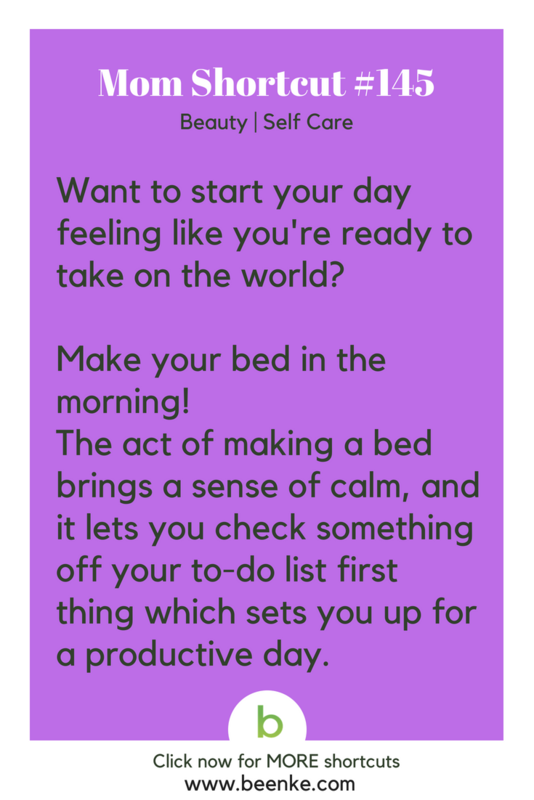 #145 – Start your day off on a productive note by making your bed! #138 – Stretch before bed to sleep better! 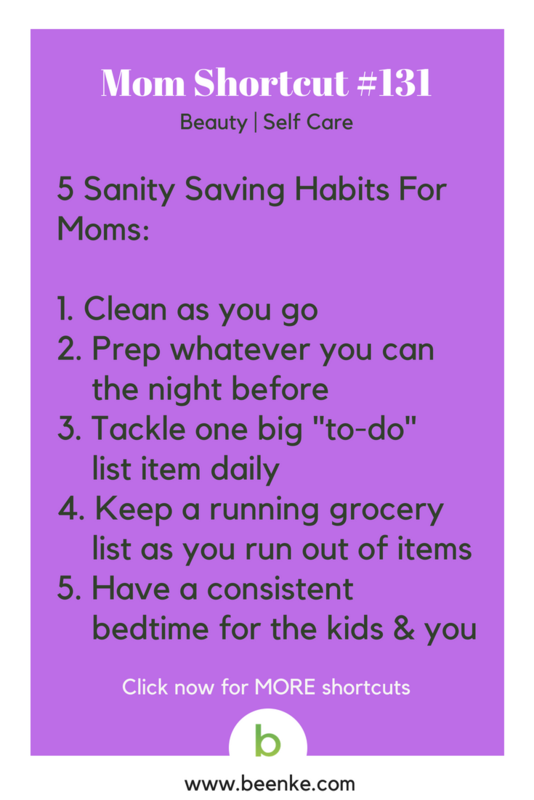 #131 – Five easy sanity saving habits for moms. 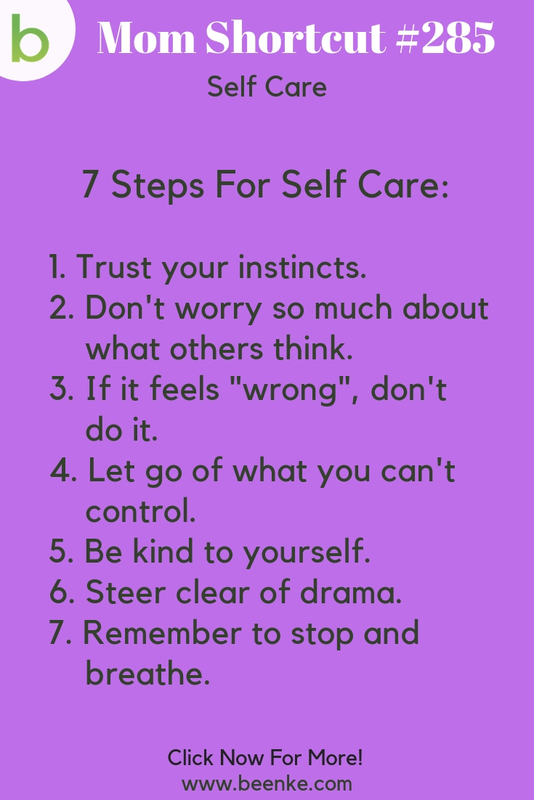 Add em’ to your self care plan. 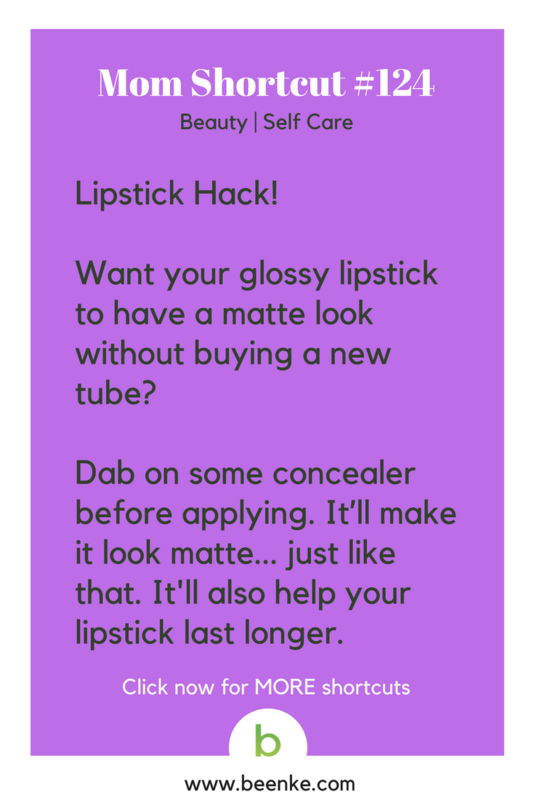 #124 – Turn your glossy lipstick into long-lasting matte. #117 – One of our favorite self care ideas: Treat your feet while you sleep! 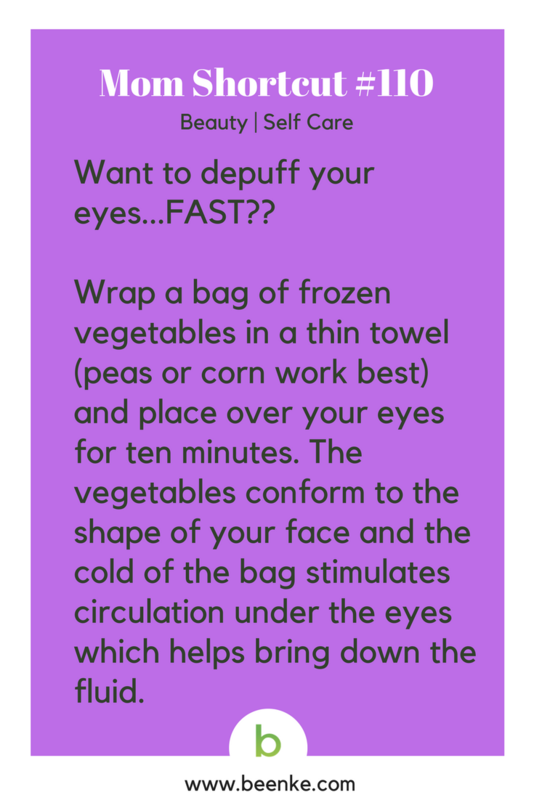 #110 – Simple beauty hacks: the cure for puffy eyes. 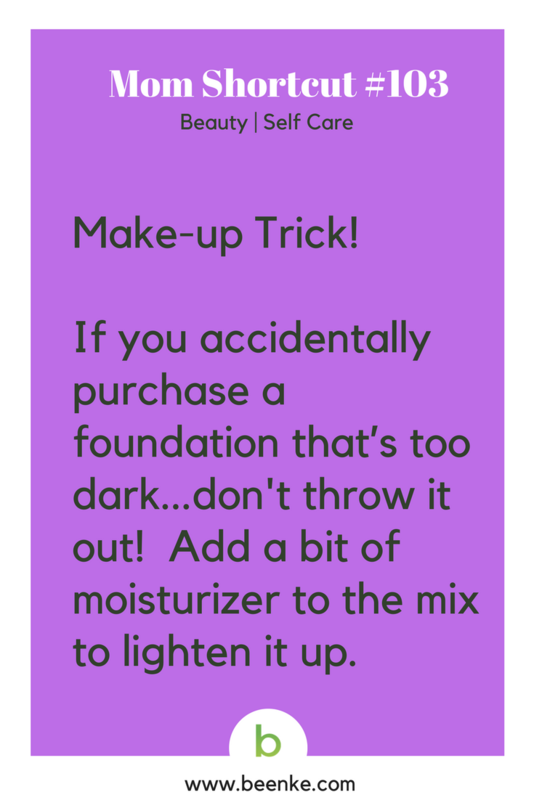 #103 – Don’t throw away that foundation because it’s too dark! #96 – Want plumped up looking lips? 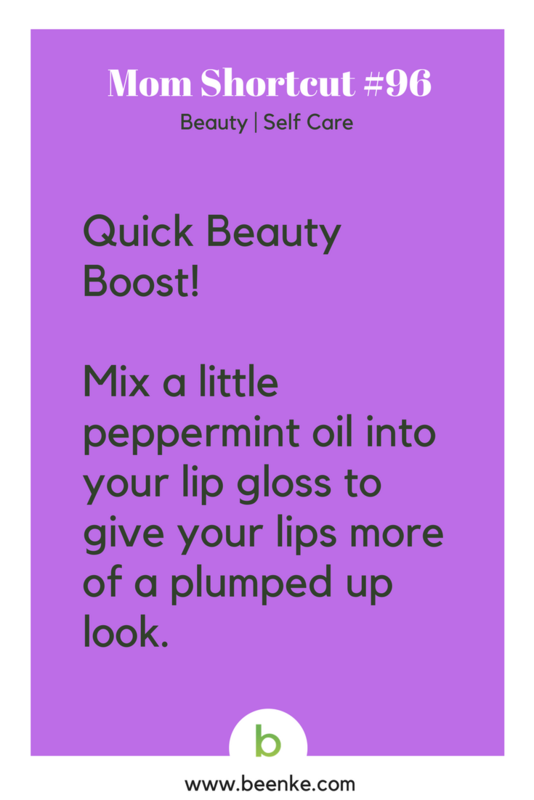 Peppermint oil baby! 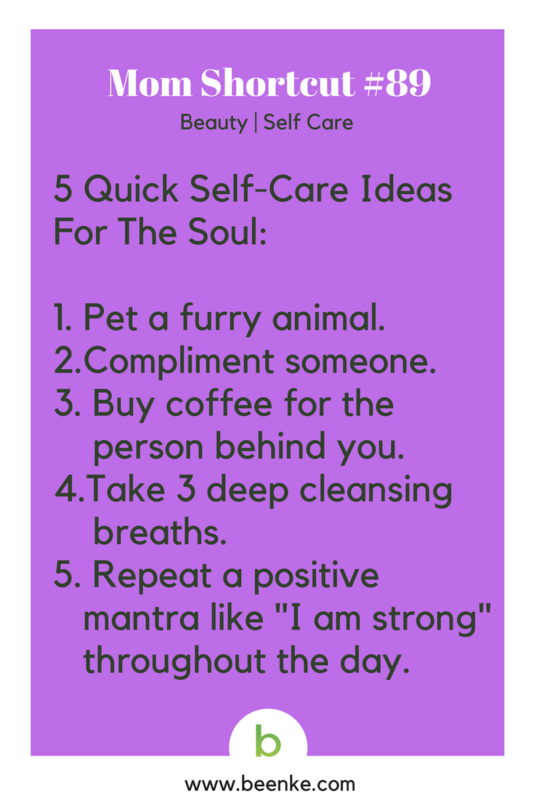 #89 – Five self care ideas to nourish your soul. 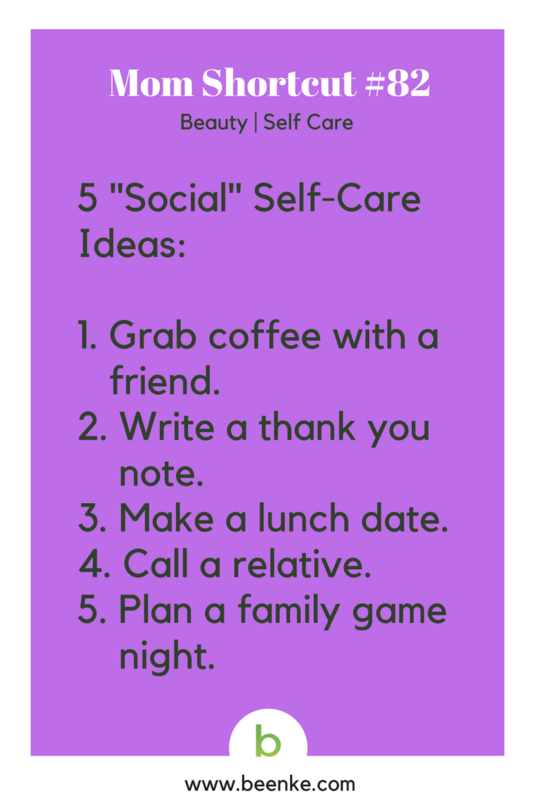 #82 – Five ideas for social self care. 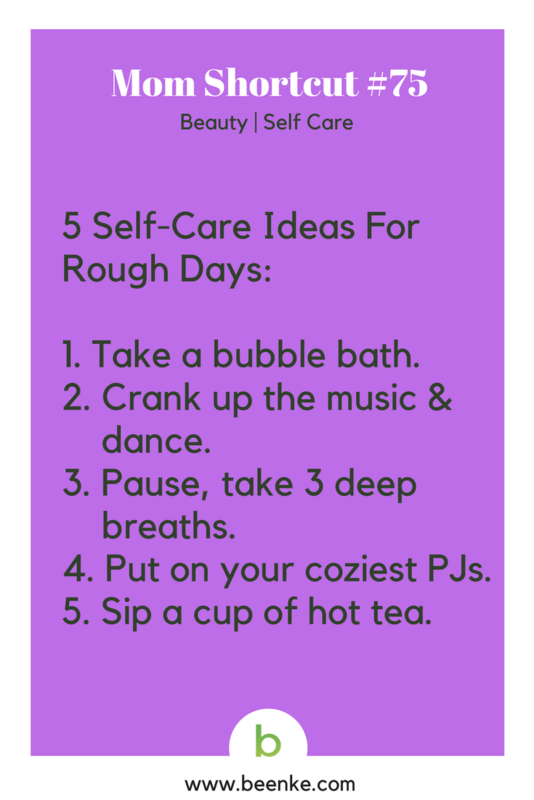 #75 – Self care ideas for those really rough days. 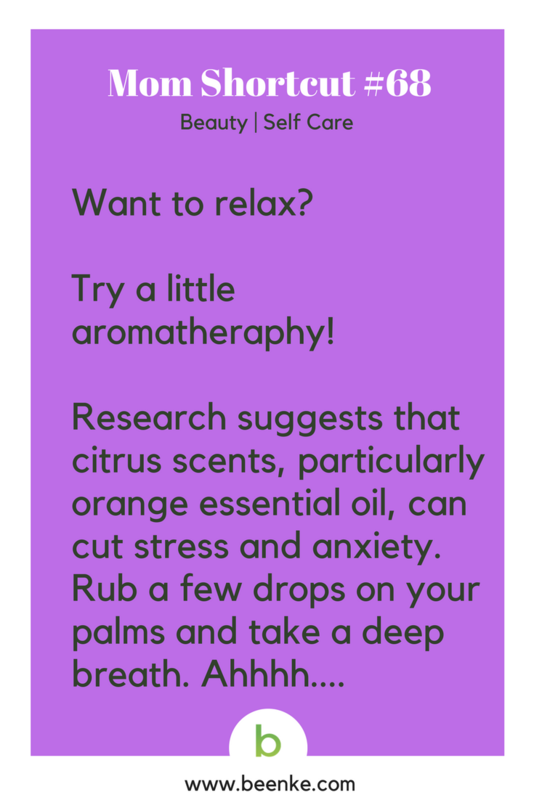 #68 – Self care tips: relax with aromatherapy! 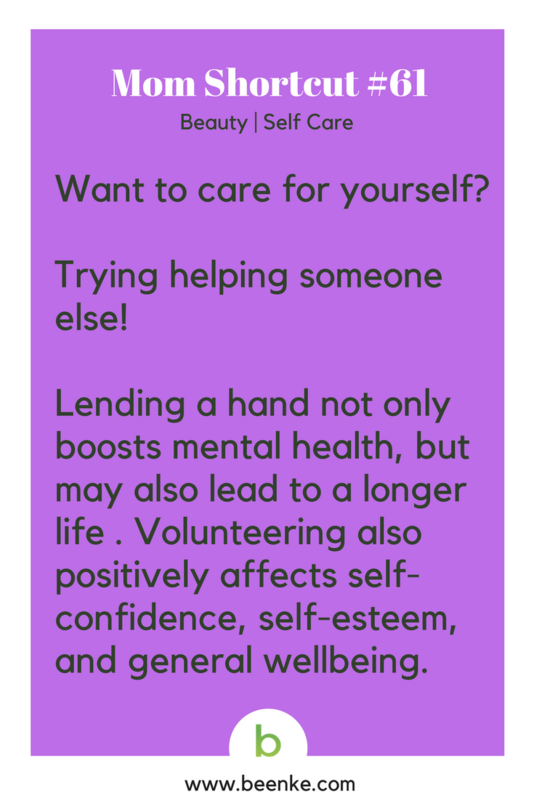 #61 – Self care ideas: helping others helps you! 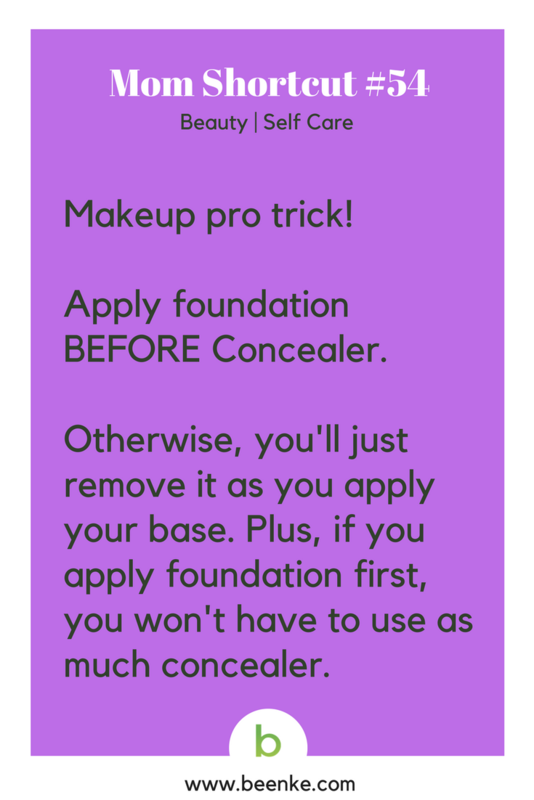 #54 – Foundation before concealer….WOW, mind blown! 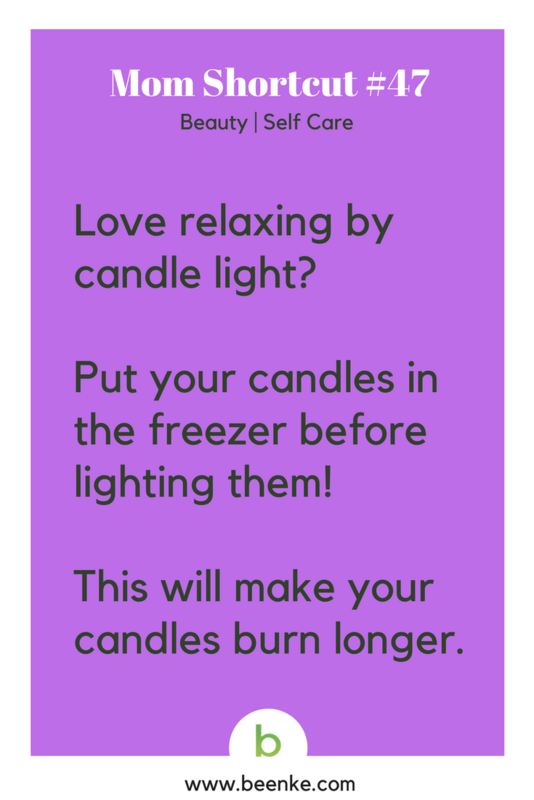 #47 – Want to make your candles burn longer? 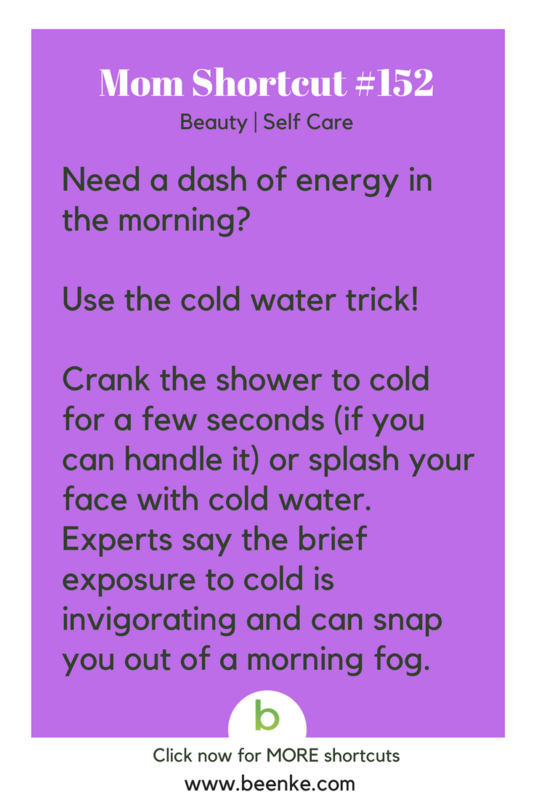 #40 – Want to make a warm bath even better? 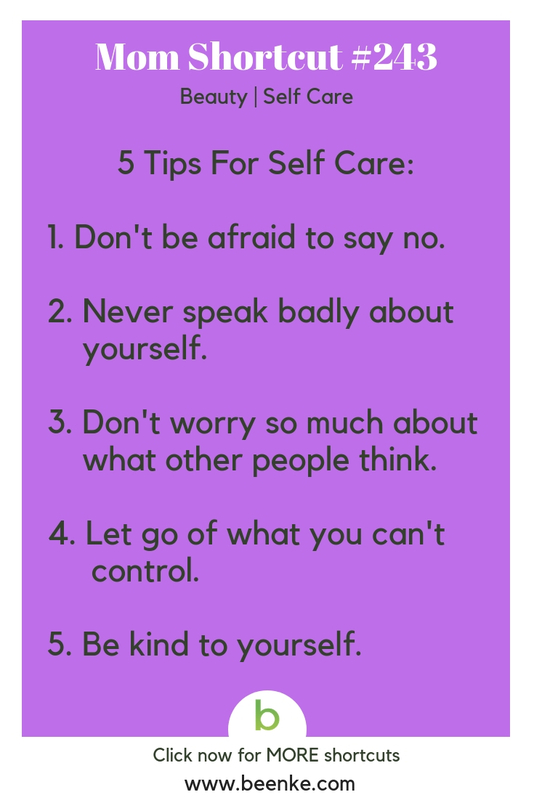 #33 – Self care ideas for when you’re feeling a little anxious and stressed out. 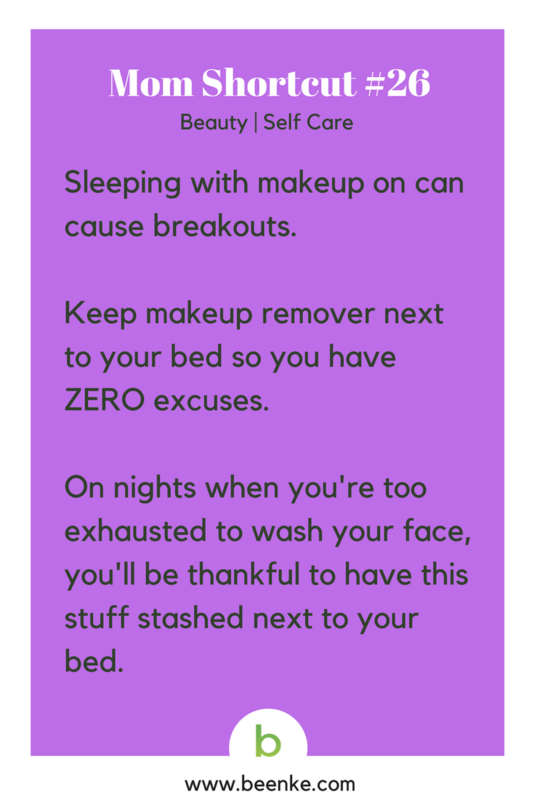 #26 – Are you guilty of going to bed with your makeup on? 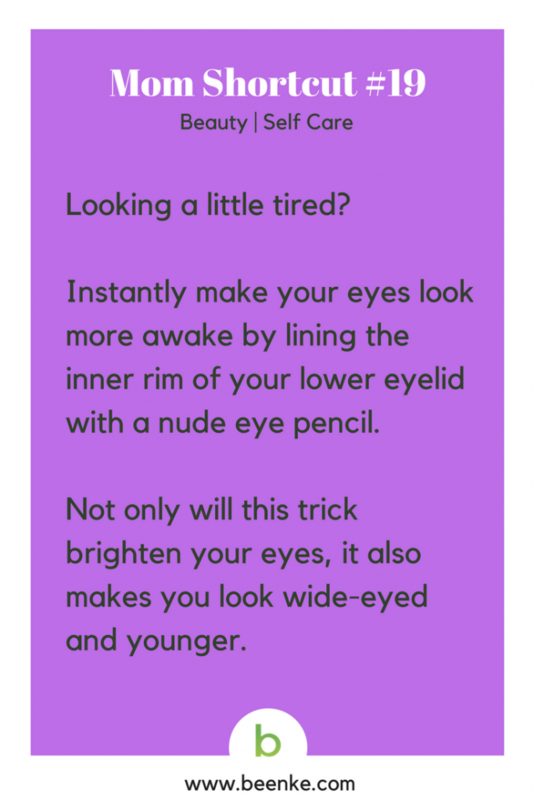 #19 – The cure for tired mom eyes! 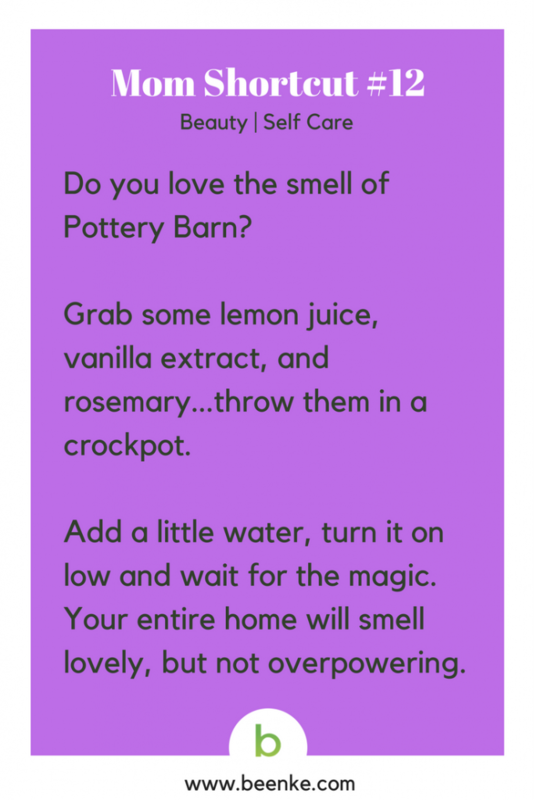 #12 – Want your house to smell magical like Pottery Barn? 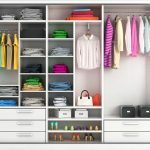 Self Care Ideas#5 – Want your home to smell delicious? Place vanilla scented tea lights in a bowl of coffee beans. The warmth of the candles will heat the coffee beans and make your house smell like french vanilla coffee. 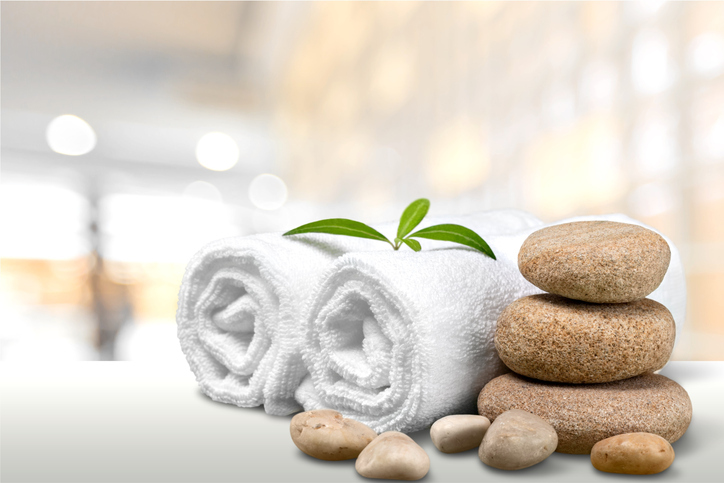 SHARE these beauty and self care ideas for busy moms on Facebook and Pinterest by clicking the buttons below.